You have more power than you can imagine—power to heal yourself and change your life—starting from the inside out. What is one thing in your life that you would like to change? Heal a physical or emotional illness? Resolve a conflict with another person? Find a more satisfying career or greater financial satisfaction? Have a sense of inner peace and enjoy each moment to its fullest? relationships, career, and financial situation. 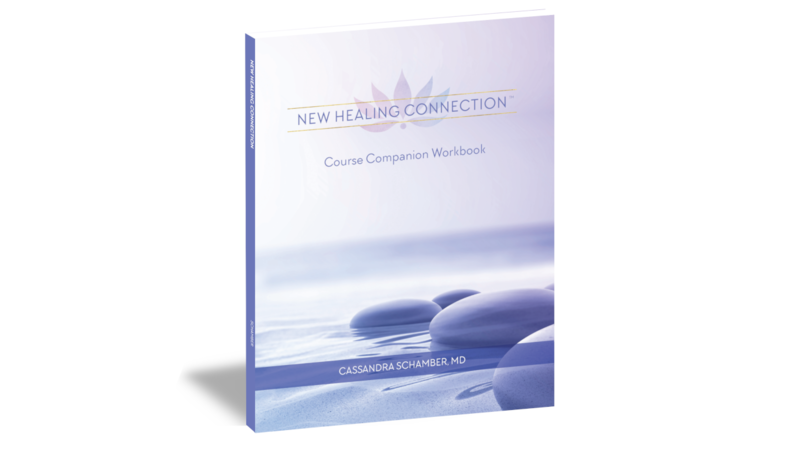 New Healing Connection presents a trusted approach with easy-to-learn concepts to transform your life. 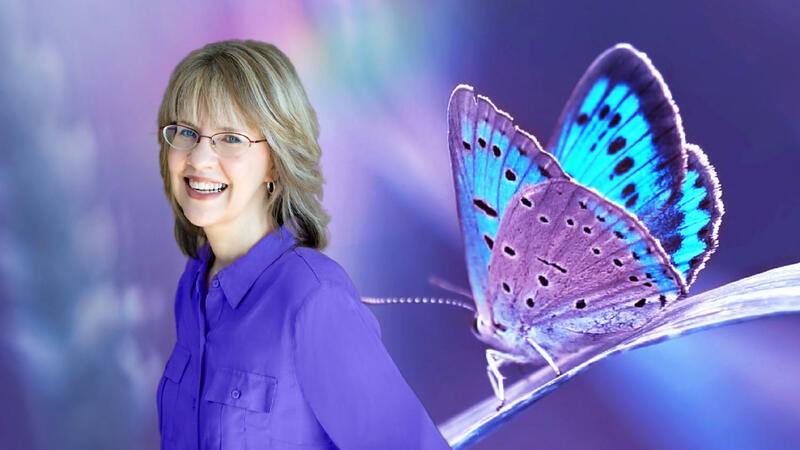 Learn to increase your energy and discover a revolutionary way to deal with emotions. Break unhealthy thought habits and recognize how your intuitive guidance can amplify your transformative power. Deal with dramas in your life to become free of them for good. Face unresolved thoughts and emotions surrounding traumas and other painful situations from your past. Practical exercises throughout the course and books will help you incorporate these methods into your life as soon as you begin. 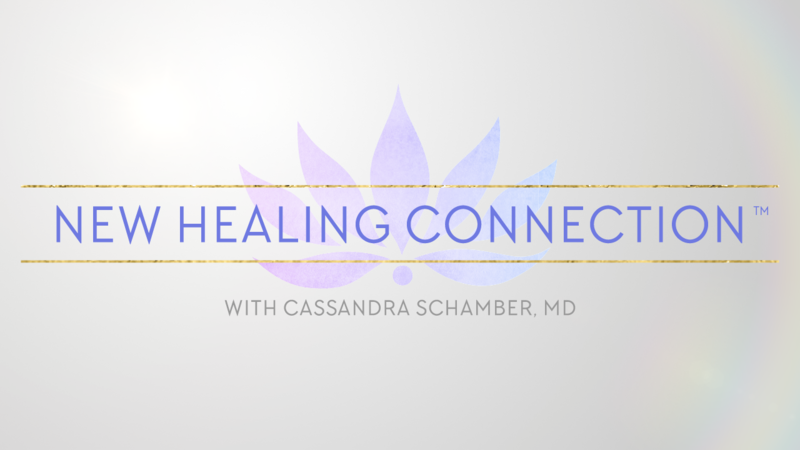 Cassandra Schamber, MD, is a pain specialist who focuses on mind-body medicine. She received her medical and undergraduate degrees from the University of Minnesota. In her solo practice in Duluth, Minnesota, she combines Western and complementary medicine as she helps patients get to the root of their pain and heal from within. 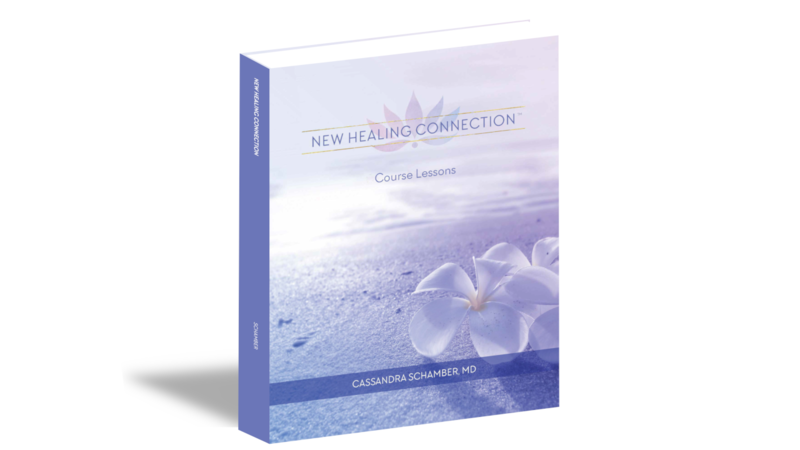 She created the New Healing Connection® for people who want to change their perspective on health and healing. Her special interest is in the power of emotions to heal both physical and emotional illness. 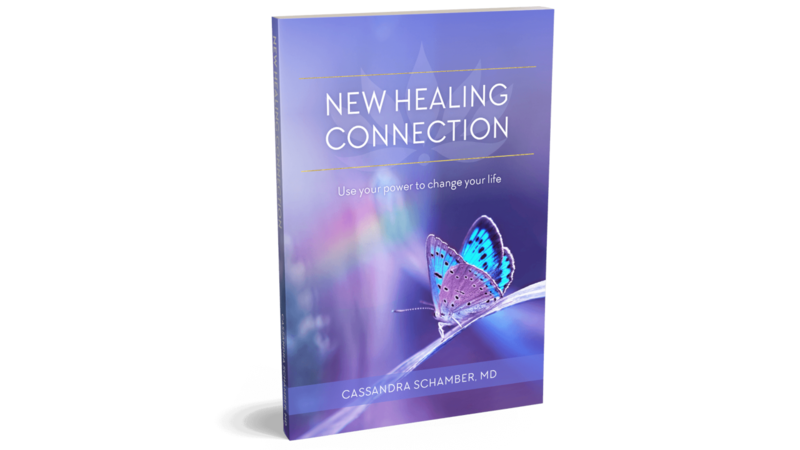 "I began to use Dr. Schamber's book with the chronic pain patients I was working with. My way to work with them has always been to try an exercise or movement on myself first to get a clear understanding of how the work feels for me. After reading Dr. Schamber’s book, I started to pay attention to my ongoing stomach problems. I really could feel what was going on in my body and became aware of the emotional struggle inside me. My gut was telling me to stay away from certain situations/people and my mind was saying 'You have to be nice no matter what!' Her book helped me to get to the root of the cause rather than trying to find a fix or avoid the stomach discomfort. Her book gave me clear concepts to work with, with permission to be patient, kind, and gentle with myself as I release the emotional pain I was holding on to. I was raised by lovely parents that loved me, meant me no harm but I can remember, as a small child, being told 'Don't feel that way, you have to always be nice.' So I was. This message kept replaying in my adult life and worked against me. Now I listen and respect the messages my body gives me while being true to what is actually happening. With this awareness I am healthier, I am true to myself, and I am still kind to others. Thank you Dr. Schamber! " "Learning to feel my emotions and listen to my intuition has helped me to be able to make better decisions in my life!" "Since doing this work, I have noticed an improved quality and ease in my relationship to myself and also with my family, friends, and coworkers." "I have a greater appreciation for the value of learning to rest and feel my emotions. This has helped me to have a better understanding of the connection between my emotions and muscle tension in my body. My body feels more relaxed!" "Dr. Cassandra has helped me attain a higher level of physical and mental fitness. 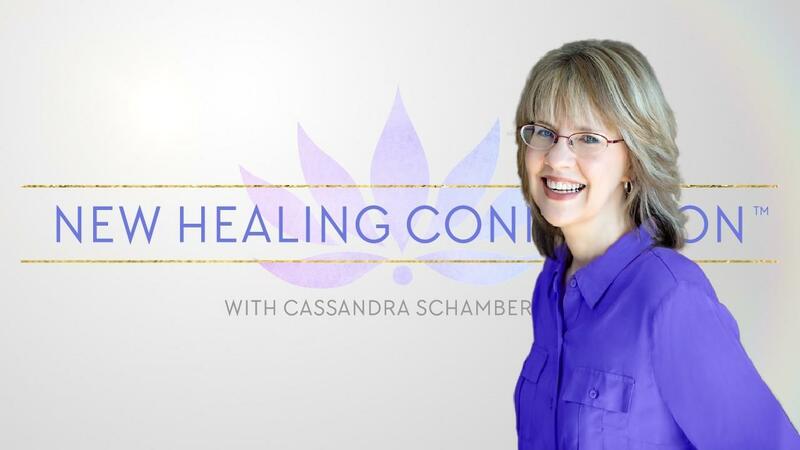 Her knowledge of the mind-emotion-body connection has helped me understand that pain and discomfort can be effectively managed and even eliminated." © 2019 New Healing Connection, LLC. All Rights Reserved. Please give us your name and address for the latest updates!